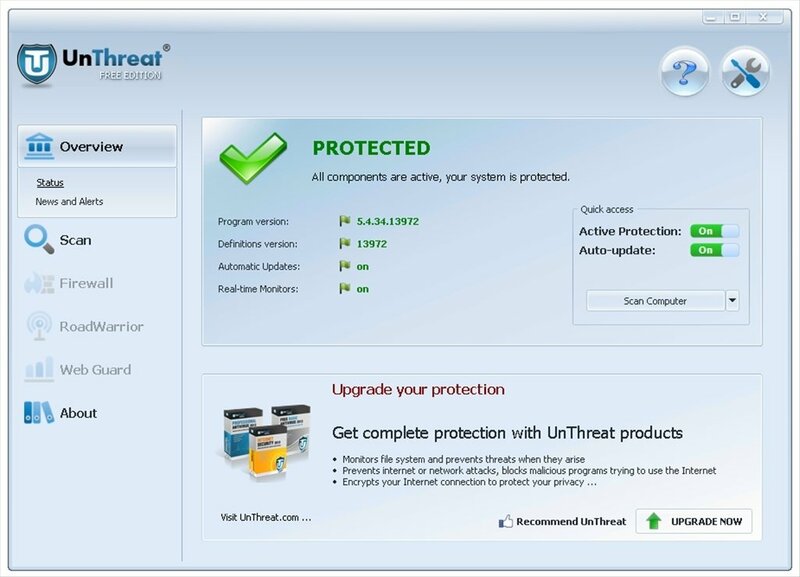 Protect your computer from all kinds of infections thanks to UnThreat Antivirus, a complete antivirus capable of preventing and eliminating threats. 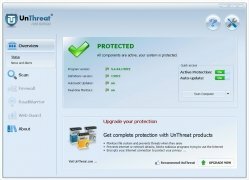 Total protection for its users. 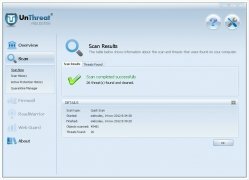 Antivirus protection: scans, detects and removes viruses, trojans, worms and other security threats. 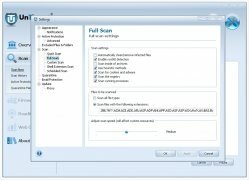 Antispyware: detects malware on your PC. 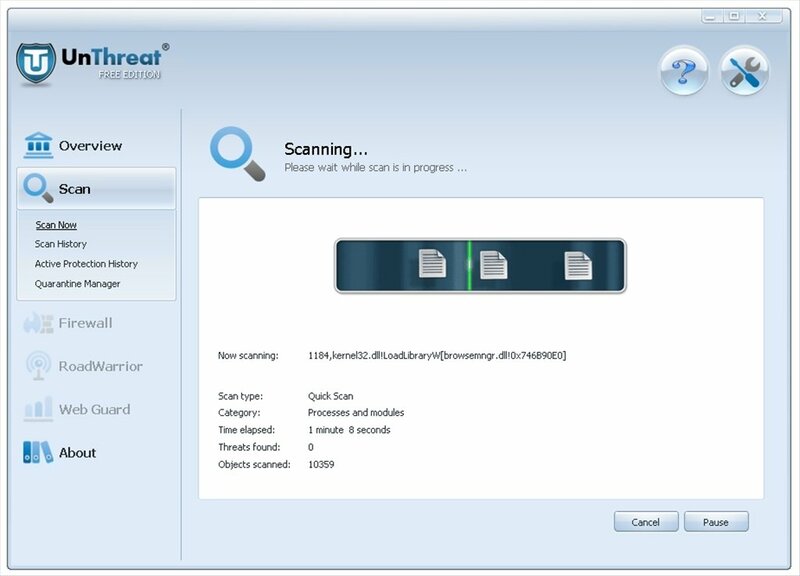 Stops installation and prevents theft of private and confidential information such as passwords or bank details. 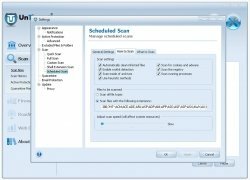 Email: scans incoming and outgoing email for viruses and other threats attached. 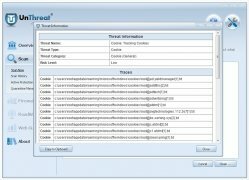 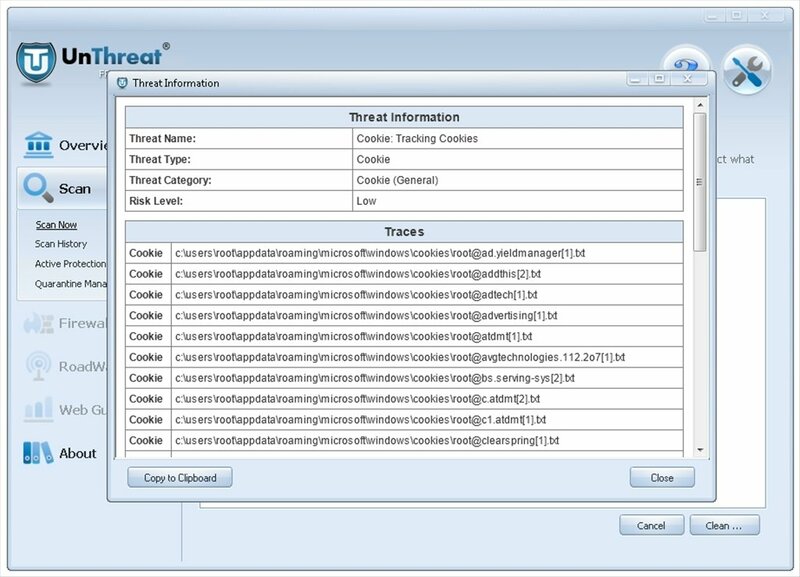 Active protection: monitors processes and files, alerting of any suspicious activity. 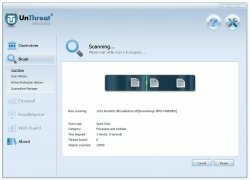 License Manager: watches expiry or renewal dates and discover special offers. 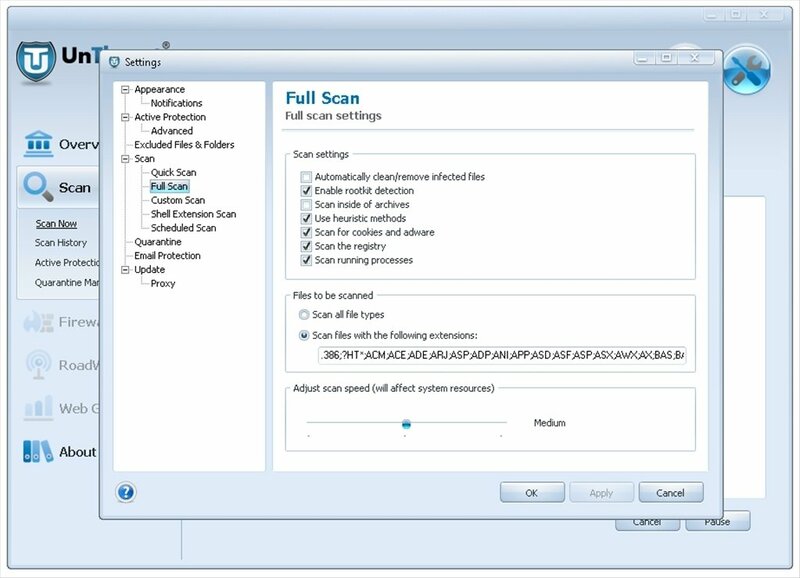 Update Manager: download the latest virus and malware definitions automatically or manually . 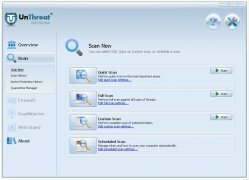 UnThreat Antivirus is a comprehensive security utility that you should not go without on your PC. 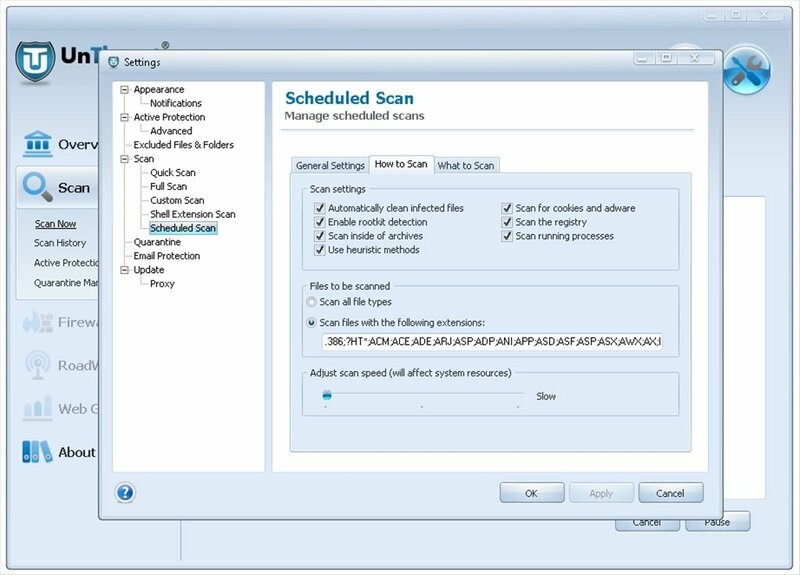 To the features previously mentioned, some additional options can be added, such as scanning and blocking scripts, ActiveX monitoring or system log analysis. 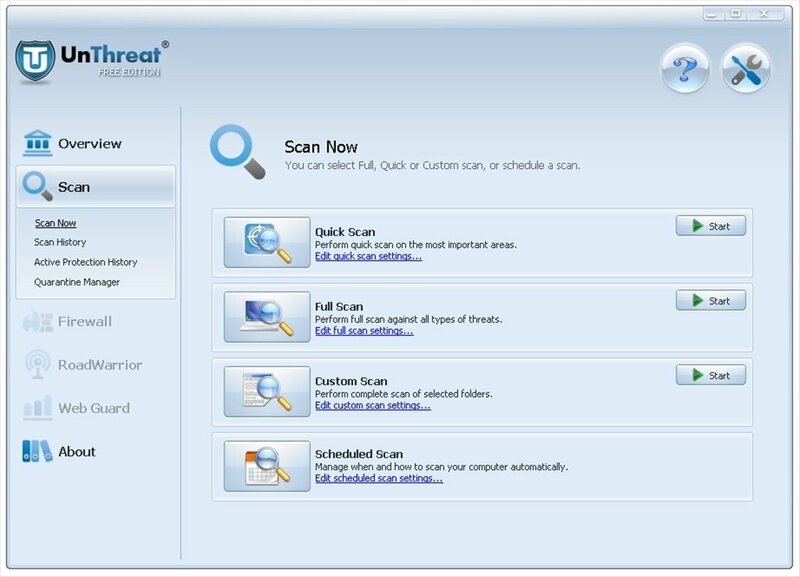 Prevent your PC from being a haven for viruses, spyware, rootkits and other hazards or SPAM. 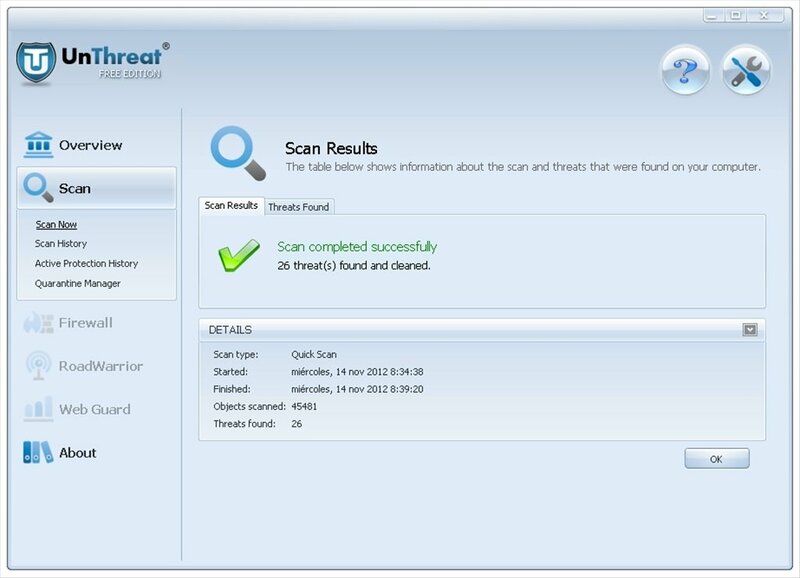 Download UnThreat Antivirus for free for the total protection of your PC.